It’s no secret that the very best apricots in the world are grown locally in the Santa Clara and San Benito counties, and the very best type is an heirloom variety called the Blenheim. The weather in this area is ideal for this spectacular fruit—cool winters allow the trees to “hibernate” for the upcoming season. Early summers provide warm days for the growing season and the relatively cool evenings give the trees time to recuperate each night. It’s a nearly perfect growing environment. Also, the soil in these local farmlands is superb for growing Blenheim apricots. The result of all these factors is an apricot with the perfect combination of sweet and tart flavors that is so spectacular it is unmatched by apricots from any other place on earth! The Blenheim variety is rare indeed. Not only have most local farmlands, where they once grew, given way to homes, businesses, streets and highways over the past 50 years or so, but the Blenheim apricot is such a delicate, temperamental variety that these days most farmers do not want to bother with them. Blenheims bruise so easily that the few farmers who presently grow them aren’t usually willing to pick them for retailers. Instead, Blenheim apricots are now grown mainly for drying and even then, compared to other tree fruits, it’s a major challenge to cultivate, pick and process these delicate treats. Mark Gibson of Gibson Farms in nearby Hollister, California (San Benito County), is one of the few remaining small, local farmers of the exquisite Blenheim apricot, and, with all our support, Mark can continue to grow this endangered fruit for many more years to come. Here at Sigona’s Farmers Market we continue to have the privilege and good fortune of doing business with Mark Gibson. 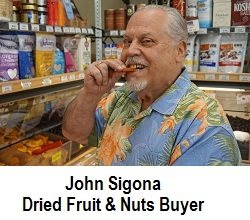 We have a longstanding business relationship of over 40 years and during that time we have bought nearly all of our dried apricots from him. He grows and processes his dried apricots right there on his ranch with meticulous care and pride. 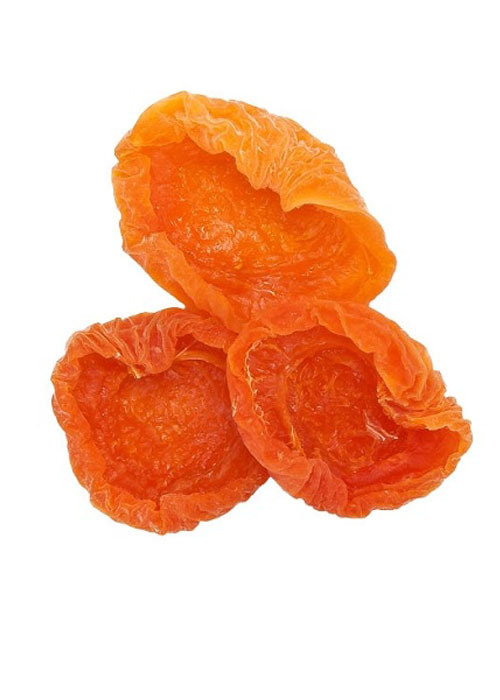 His beautiful apricots are picked at the peak of ripeness, hand cut in half and sun dried, all of which helps retain the bright orange natural color, vitamins and minerals.